The use of GPS tracking in Perth notches-up another save! Western Australian Police reported on their Facebook page that a thief had stolen a $70,000 loader. The good news was that the Perth owner had a GPS tracking device fitted. Once the owner knew the loader was missing he was able to use the GPS tracker to give the loader’s location to police. At the time of the police arrival, the thief had bogged the loader and was using a shovel to try to dig it out. Beside the ‘smart’ loader owner, many other vehicle and machinery owners in Perth have been fitting GPS tracking devices. What are they? And how do they work? 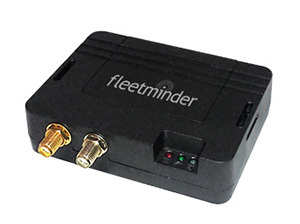 GPS tracking devices are small electronic gadgets around the size of a cigarette box. They pickup the exact location on earth using GPS and then transmit that location to the internet (securely) or via the mobile phone network to the owner’s mobile phone. If you also own an expensive piece of machinery or vehicle – asset, how do you know if it’s missing? Setup a geofence fence which is a virtual perimeter around your parked vehicle or machinery. You would then receive an automatic SMS text alert if your asset leaves that set parked perimeter. The use of GPS tracking in Perth has become much more popular due the affordability of the latest GPS tracking devices. Cars, vans, buses, trucks or any machinery or expensive asset can be tracked easily and simply. The current location of your asset can be obtained from your mobile phone, tablet, laptop or PC computer anytime anywhere. The exact location will appear on an online map (Google or Bing maps) allowing you to alert WA police if your vehicle or machinery has been stolen. 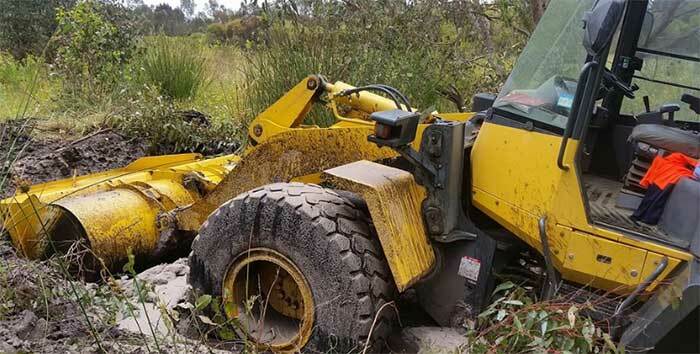 This is how the Perth loader owner was able to quickly recover his machinery – and ‘notching up’ another save by GPS tracking technology.